Want to do something green in your shop? Check out our tins with latch locks. 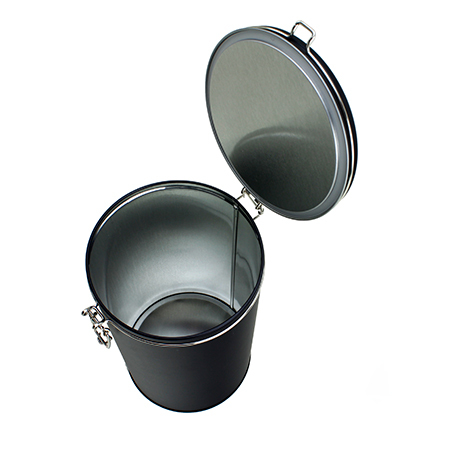 This tin comes with an easy-to-use latch and an air-tight rubber seal. 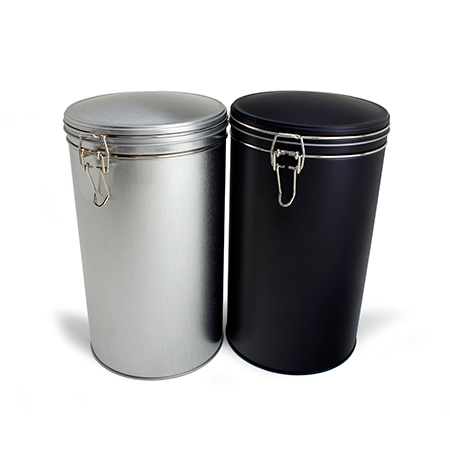 This container is the perfect storage solution for your customer's tea, coffee, or dry products. 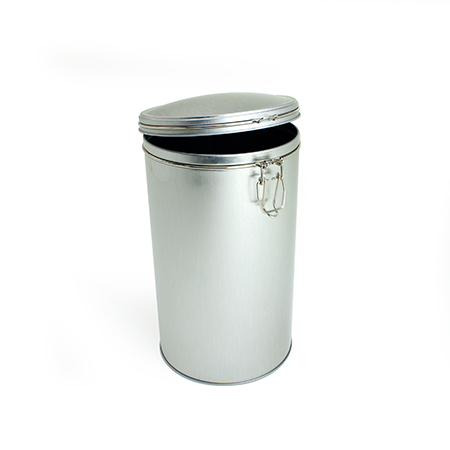 Your customers will appreciate the versatility of this reusable container! Extra Thick Heavy Duty material used to protect your product! Air tight rubber seal to keep your products fresh. Round shaped lid is unique, innovative and beautiful. No one else in the market is creating these beautiful lids! Metal Latch Lock will keep your lid locked shut tight and will prevent spillage. I ordered two boxes of the 2lb tins. The first box of tins-every single one of them were dented in the same place. It was sorta towards the back so I kept them as they are for displaying tea and you couldn't see the dent from the front. Second box wasn't dented at all. They are cute. Would have returned first box but was in a hurry for display purposes. The beautiful matte black tins arrived perfectly. No dents from shipping. 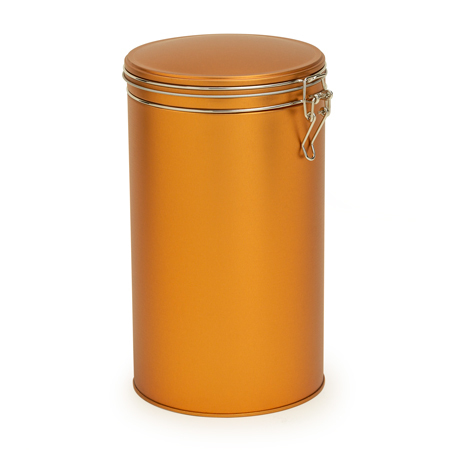 I have three businesses that will be switching from ceramic canisters to these tins. A great find and great price! We ordered these tins for our back bar tea storage. They are both functional and beautiful. We get compliments on them almost daily.